We offer few different hog roast options to suit each occasion. Our delicious mobile hog/spit roasts are perfect for any private party or corporate event – indoor or outdoor and are served with a range of salads and garnishes. Whether it’s for a summer wedding, corporate occasion or just something a bit different our spit roast catering packages are perfect for all events. Our Vintage Catering hog roast is offered across Reading, Henley on Thames, Windsor, Newbury and rest of the Berkshire, Oxfordshire, Bucks, Surrey, Hampshire, London and further afield. The paper plates and cutlery we provide make tidying up a breeze. This is a cost-effective way to serve your guests a great meal and means that you don’t need to organise a thing. 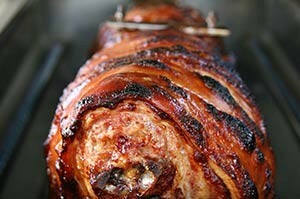 Delicious hog roast from £750 feeding about 80-100 people, includes meat, baps, crackling, sauces etc.